Looking for other Plexaderm Products? Click Here. - Buy 2 bottles, save $10 per bottle! - Buy 3 bottles, save $19.98 per bottle! - Smoother, more beautiful, more youthful-looking skin in MINUTES! 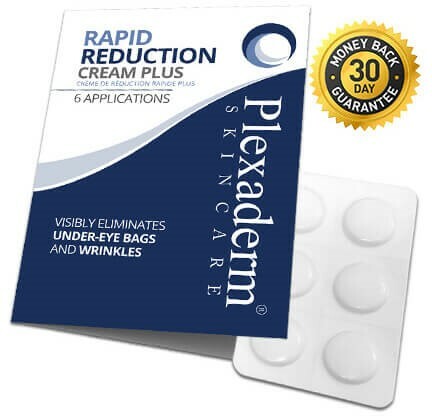 Plexaderm Rapid Reduction Cream PLUS is the ultimate beauty product that works in minutes to visibly reduce under-eye bags, smooth fine lines and wrinkles, and minimize the look of dark circles under the eyes. 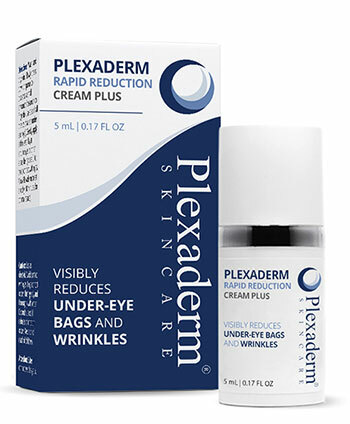 They say that seeing is believing, and with Plexaderm you get the immediate results you're looking for! "I love this product!! It does exactly what you advertise and it makes me look 10 years younger." Online shopping is safe with Sheer Science Products!